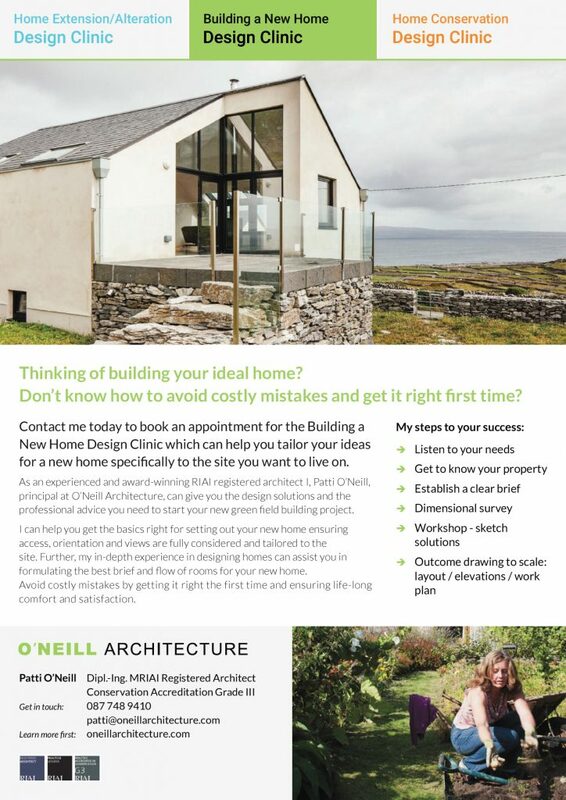 O’Neill Architecture’s unique Building a New Home Design Clinic is the ideal solution if you have a property/site you want to build on. Or if you have a couple of potential sites on your own property and want to know your best option. You want a dream home – not a bog-standard house. Maybe you want to manage the entire building process yourself. Or you want to make sure you have more knowledge to make an informed decision before commissioning an architect to provide full architectural services. 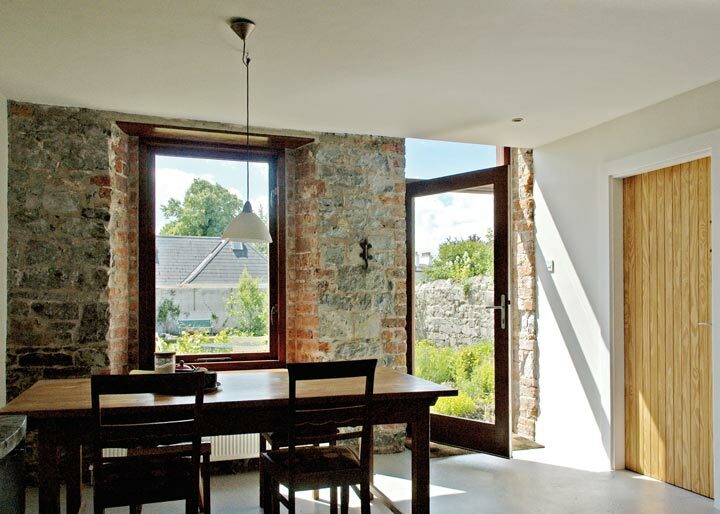 As an experienced and award-winning architect, and a member of the RIAI I, Patti O’Neill, principal at O’Neill Architecture, can give you the design solution and the professional advice you need to achieve your dream home. 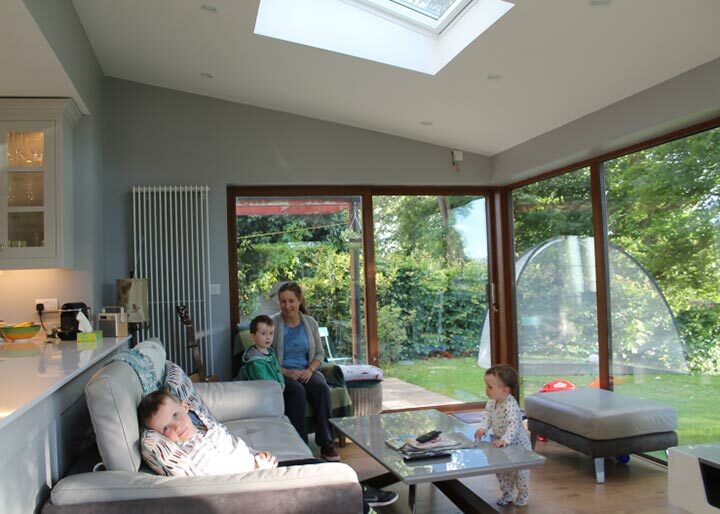 My New-Build Design Clinic will not only give you the design solutions which are right for you, it will also put you on the right track, financially. At my clinic I will also provide you with a work plan that you can use to help deliver your dream house, and to maximise your budget. 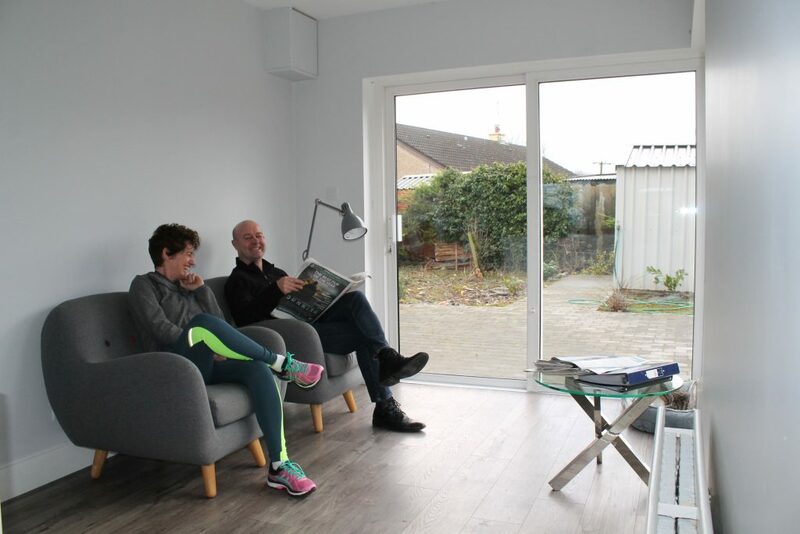 After the clinic you will be able to choose the best way forward for you, and to help you to be in control of the design and build of your new home.